Inhabiting the tropical forests of the Amazon River basin, emperor tamarins eat fruit, tree sap and insects. This tamarin was named after the Emperor of Germany because of its long, white mustache. 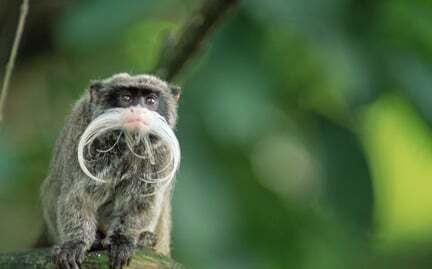 Habitat loss threatens the emperor tamarin.